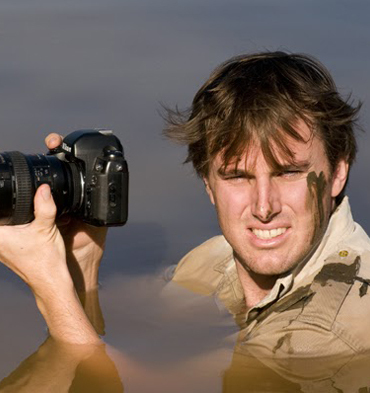 Meet Greg du Toit- naturalist, 8th generation African and fine art wildlife photographer. With 2 highly commended awards in the BBC wildlife competition- with both images in the fine art mould, Greg's photography is distinct and refined, much like his humour! Greg du Toit is a professional wildlife photographer and C4 Photo Safari guide who is quite simply gripped by Africas beauty. The last decade has seen him living in and photographing some of Africa's wildest and remotest ecosystems. This included remote areas in Kenya and Tanzania where the wildlife was shay and elusive. But this did not stop Greg, who managed to collect some excellent image portfolios during this time. Gregs speciality is finding you the unique, the different and the best subjects for you to photograph. Predators are one of his specialities. Photographing them in a new light is another. If you are looking for a unique point of view with regards large mammals, predators and action based photography: Greg is your guide. Gregs photography conveys intimate interactions with the natural world and intimacy with his subjects has become his signature theme. To view more of his published work you can click here. "My photography is much more than a career, it is a way for me to share the beauty of wild places with others. To hopefully contribute in some small way to their continued existence"
Nature, Wildlife, Landscapes and African culture. Equipment 35mm DX Digital Format, 35mm Film and Hasselblad X-Pan when he can get his hands on it. Cover story for Africa Geographic magazine titled "Living on the Edge" documenting the rift valley of Kenya. The first ever published portfolio on Ruaha National Park which appeared in Africa Geographic Magazine and was aptly titled "Beneath the Radar". A 16 month project to capture images of free-ranging lions in Kenya lead to a sell-out National Geographic exhibit in London. His cutting edge lowlight photography has seen him publish portfolios on leopards in both the BBC Wildlife and Geo Magazines. He has been interviewed on the NBC's Today Show as well as on the BBC Worldwide Radio Service about his work. Widely published in magazines and newspapers the world over. His first coffee-table book titled Awe sold out in just four months and is currently in its 2nd print run. Busy with his 2nd book titled 'Getting it Right in Camera'. Has appeared as a guest speaker in London's Royal Geographic Society. 5 times Wildlife Photographer of the Year finalist.